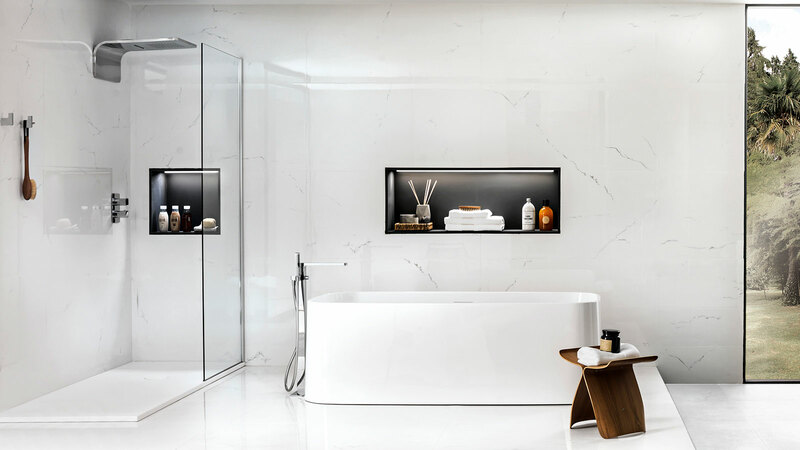 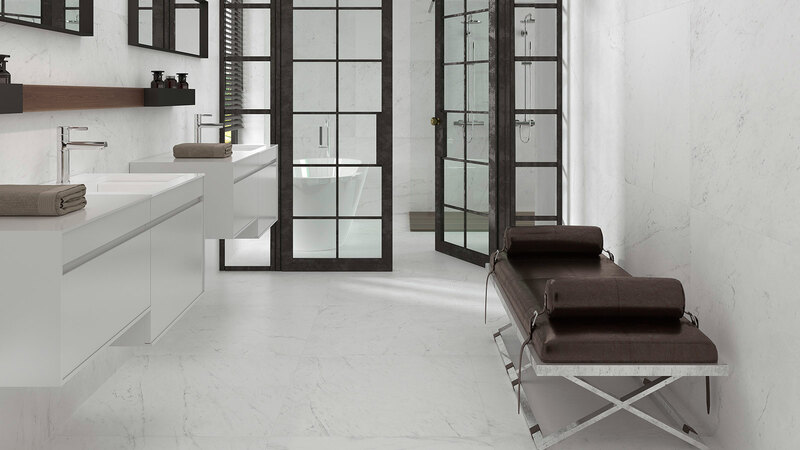 The Magma Black collection by Venis takes the elegance of the bathrooms to a new dimension. 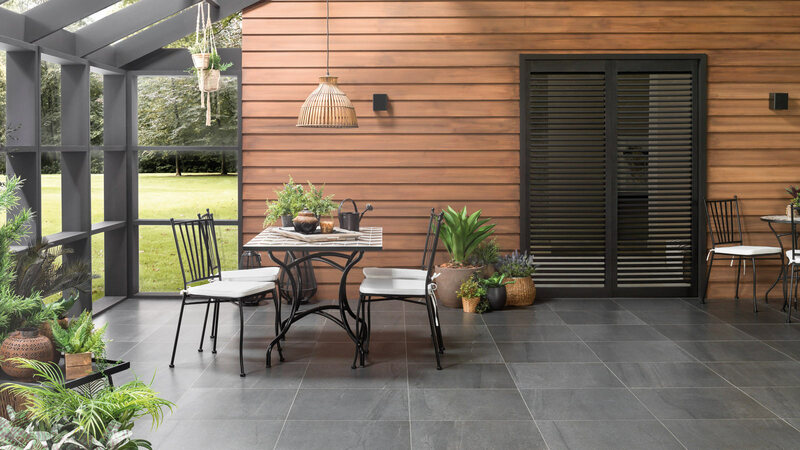 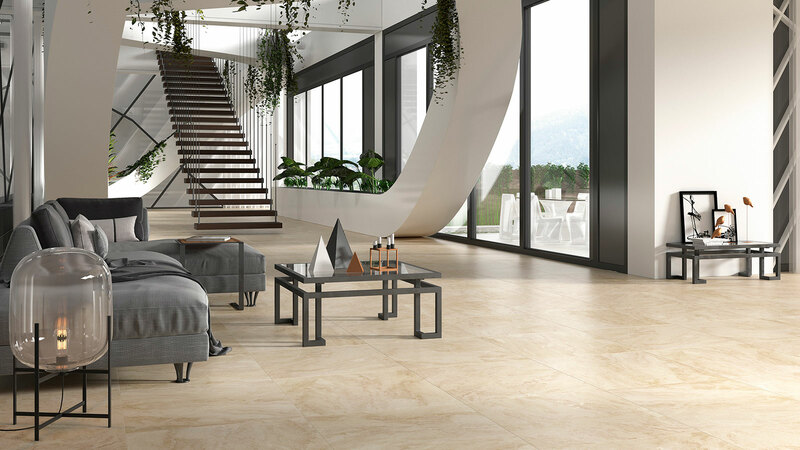 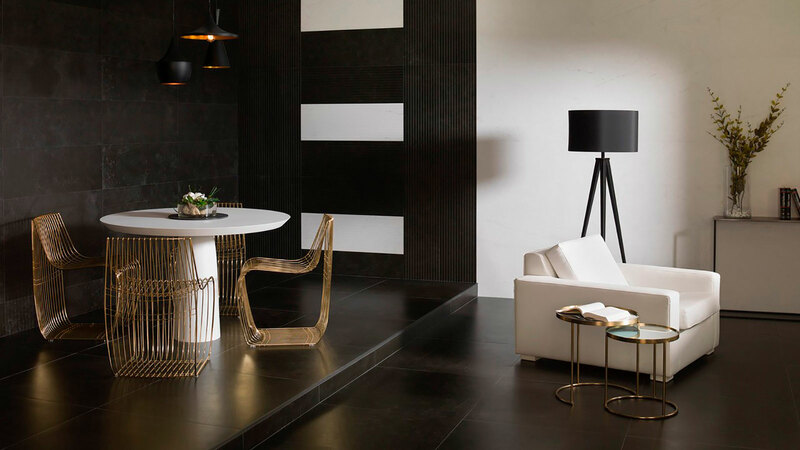 All its pieces are designed for wall tiles, in a 33.3cmx100cm format and two sets (Deco Infinito Magma and Deco Lines Magma), and floor tiles (59.6cmx59.6cm and 80cmx80cm). 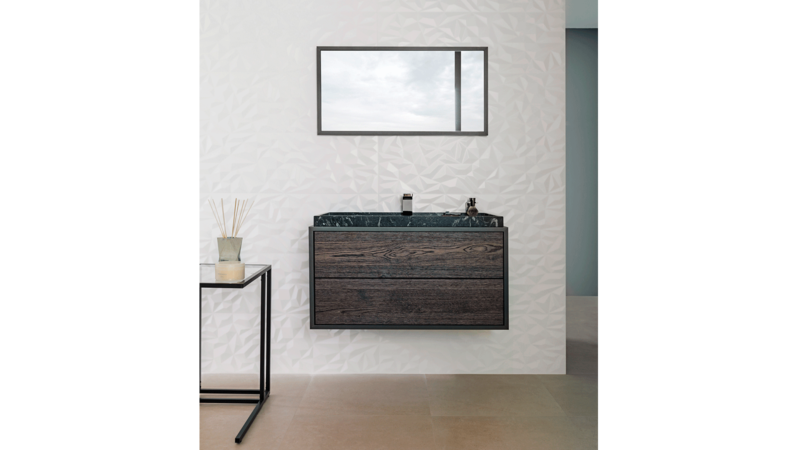 Its strong lines enhance the intense black of the surface, as well as intensifying the light of the white and the limestone veins. 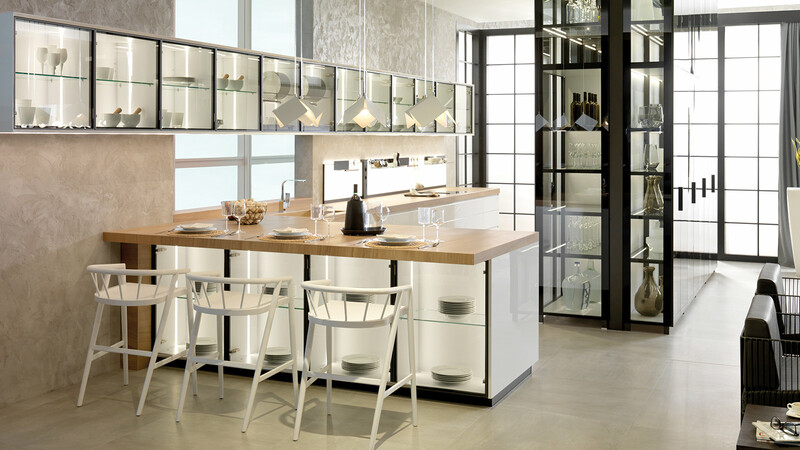 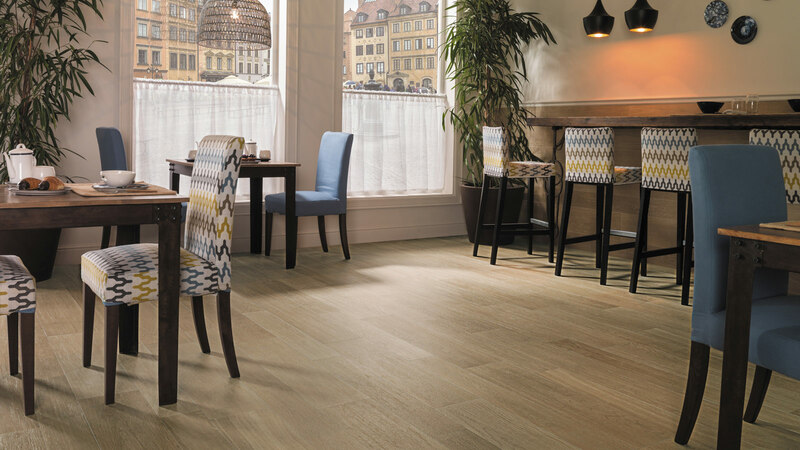 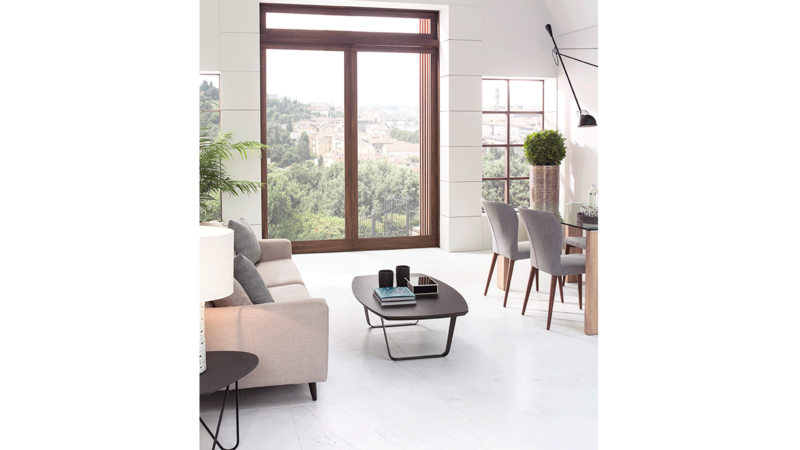 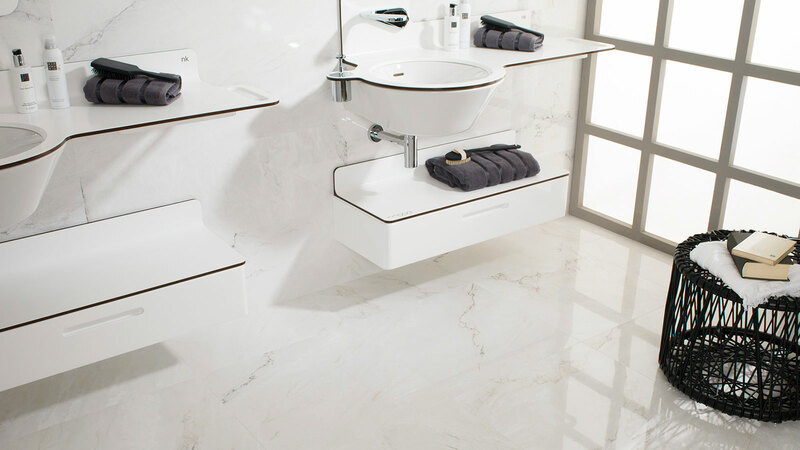 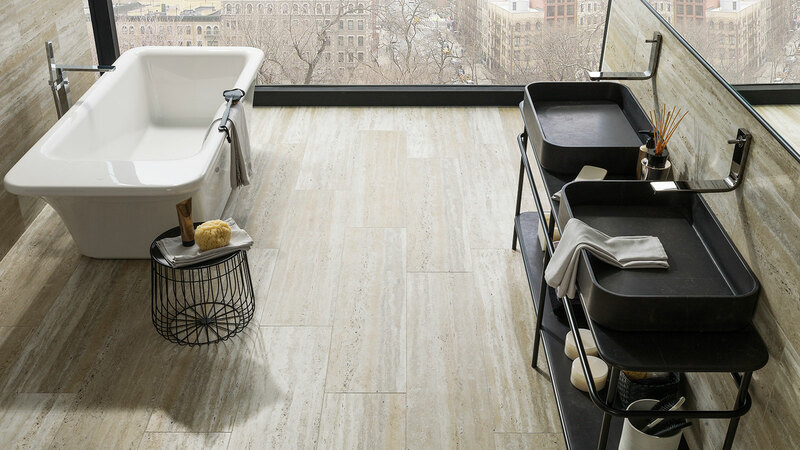 With a more intense tone, the Mármol Gris collection stands out because of its whitish veins and its sleek design. 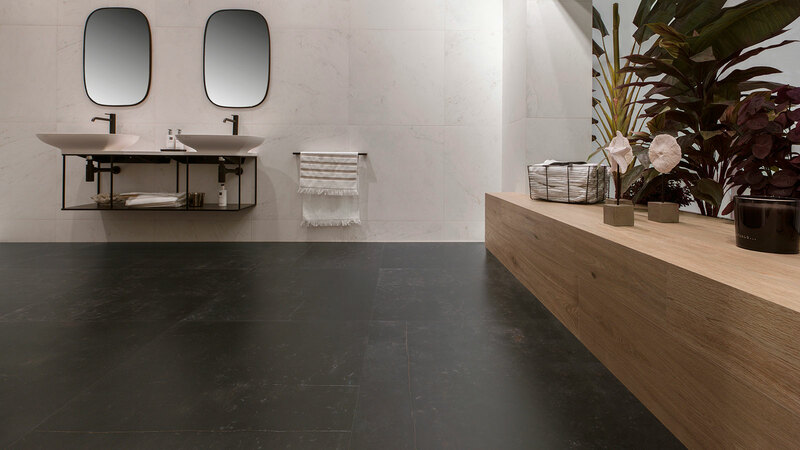 The two available formats: 33.3cmx59.2cm and 44.6cmx44.6cm are ideal for any interior project.